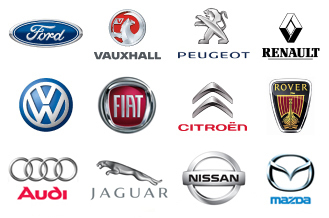 We have top of the range key cutting and duplicating machine, both computerised and manual and are able to cut 99% of car keys (even for older cars). Our machines are kept calibrated and sharp and our software up to date. Always phone first to speak to our qualified Auto locksmith to arrange time on 07779 802 844 . Snapped, broken, damaged keys, keys not working? We can work miracles with most broken/snapped keys usually transferring your existing chip thereby keeping the cost very reasonable. We can also repair cases so it makes sense to phone 07779 802 844. Parker Locksmiths was established in 1979 and has been offering Coventry first class Locksmithing service since then. Howard our youngest son joined us in 2009 after working as a fully qualified mechanic for 7 years, and after full training took over the Auto locksmith side, all our equipment is new and our software fully up to date and with a young sharp brain and a substantial mechanical background we feel we are able to offer a top notch Auto Locksmithing service whether it is just changing the battery in your remote or completely re-keying your car after theft of keys, with 2 brothers and a father there is always someone on hand should a job need 2 people, like wise Howard also helps out on the main locksmithing side when necessary. We not only sort out your car locks after theft of keys but can change locks at home and work as well, all on the same invoice if required.